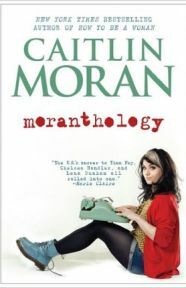 In 2011’s bestselling How To Be A Woman, Caitlin Moran discussed, well, all things female. It had a big impression on me; a year and a half on from reading it, I am no longer concerned that owning only one dress (the one I got married in, never to be worn again), one pair of heels (which I can’t really walk in), never being bothered with make-up (so many things I’d rather do with my time and money) and not wanting babies (ditto) makes me a rubbish woman. How To Be a Woman may seem an oddly titled book for a 33 year old woman to be reading – surely with 33 years of practice I must have figured it out by now? 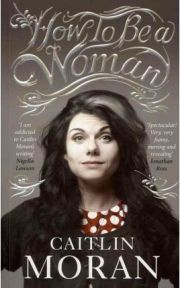 Yet despite this ample experience, being a woman is something I feel I’m a bit rubbish at. I only own one dress (the one I got married in, never to be worn again). I only own one pair of heels that I can’t walk in (putting me apparently way below average on this count). I never wear, and never have worn, make-up (not even on my wedding day – I drew the line at having to wear a frock). I don’t have a handbag, either (why would I need one when I have a perfectly serviceable rucksack and pockets in my clothes?). And the biggest failing of all – I don’t want babies.